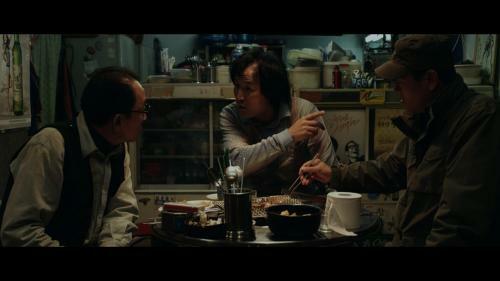 At the 2013 Jeonju International Film Festival, Sweet Temptation (잘 먹고 잘 사는 법) had the distinction of walking away with the Grand Prize in the Korean Short Film Competition. It’s highly likely that the film will continue to do well on the festival circuit as director Jeong Han-Jin (정한진) has crafted a lovely tale about the bond between mother and son, and the role of food in maintaining and developing the relationship. Combined with the charming character study involving a young boy’s loyalty, as well as some very attractive cinematography, Sweet Temptation is an endearing and memorable short film. Jeong-ho lives alone with his mother and their bond grows ever stronger as they cultivate fruits and vegetables together, before returning home to prepare them for meals. Their life is seemingly idyllic, until a girl at school tempts Jeong-ho with an offer of chocolate. Conflicted between loyalty and desire, he must make a choice to decide what kind of person he wants to be. 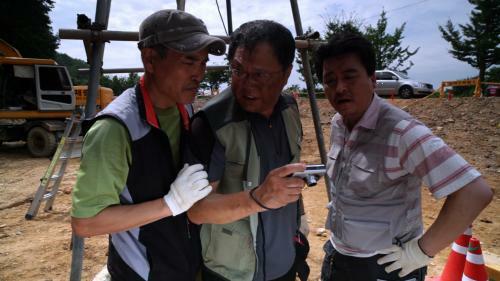 Director Jeong wonderfully conveys the lives of Jeong-ho and his mother as they work on the allotments for produce. The vibrancy of the countryside articulates the happiness and warmth they feel when together as well as the satisfaction of eating the fruits and vegetables they’ve spent all day harvesting, which themselves are full of colour. The bright red tomatoes, pale green cucumbers, electric orange carrots and so on all combine to portray a high-spirited, and very healthy, satisfaction with their efforts. After such a heartwarming opening director Jeong then begins to slowly and gently peel back the layers from the seemingly idyllic lifestyle revealing it to be anything but simple. This subtlety is easily one of the greatest strengths of the film as Jeong-ho, while happy, is not content. Jeong-ho’s school life is where Sweet Temptation really becomes a compelling film. In running around with other children and comparing food during lunch time, the young boy is actually somewhat of an outsider. Recognising this, a girl in his class takes pity on him and as they begin to forge a relationship Jeong-ho becomes ever more conflicted, as his new friend represents temptations that lead away from the teachings of his mother. The symbolic and innocent relationship is genuinely lovely and sincere, particularly as they attempt to educate each other on food. As such the ‘sweet temptation’ comes to mean not only the chocolate and promise of tasty meals, but also the desire for someone’s affection other than his mother, and watching Jeong-ho’s internal conflict unfold is a real highlight. The young actor portraying the character does an excellent job in conveying torn loyalties, and when placed in compromising situations his deeply sad and frustrated reactions are often palpable. If there is criticism to be had, it comes in the form of the running time. Sweet Temptation is a consistently compelling short film, and director Jeong weaves some really interesting plot threads within the narrative that are never fully realised or explored. This is a real shame as these hints at a wider world and family history would undoubtedly be as equally fascinating with the director’s gentle stylisation. However, despite such drawbacks Sweet Temptation is a charming and endearing film and certainly warms the heart for a good deal after the final credits. 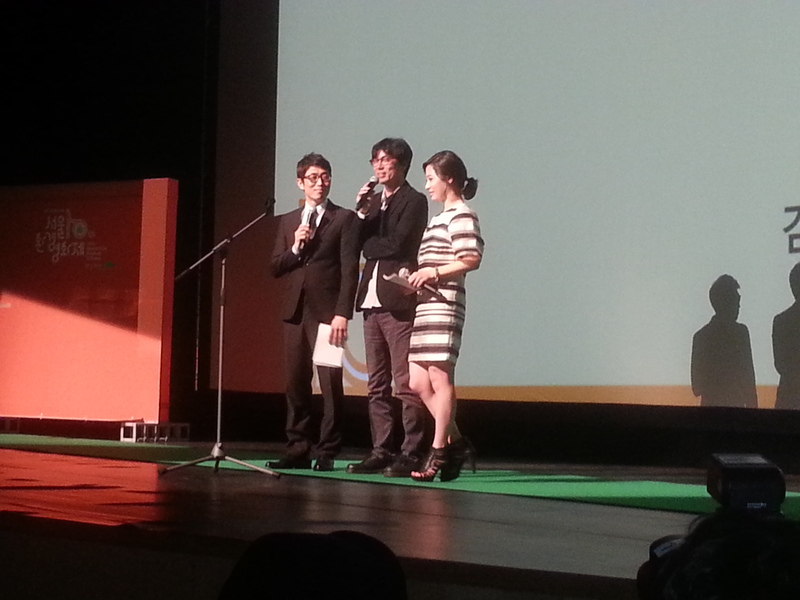 Sweet Temptation won the Grand Prize at the 2013 Jeonju Film Festival in the Korean Short Film category, and not without good reason. Director Jeong Han-Jin has produced a lovely and endearing story about the bond between mother and son, and temptations that forge internal conflict in innocent minds. While plot threads are not capitalised on due to the short running time, Sweet Temptation remains a charming and heart-warming film. 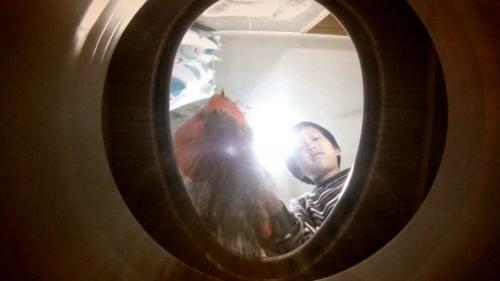 Proudly boasting to be Korea’s – and the world’s – first feature length film shot entirely with an iphone 4s, Cats and Dogs (그 강아지 그 고양이) could easily be a mere gimmick. Luckily however that’s not the case, as the film is a quite charming, albeit raw and cliched, romantic comedy. Aimed squarely at mid-teens to early twenties audiences, director Min Byung-Woo (민병우) explores the highs and lows in the relationship of a young couple in a light-hearted manner. While in a park, webtoon artist Koh Bo-eun (Son Min-ji (손민지) is suffering from depression following a break-up. When her anti-depressants accidently fall from her pocket, a wandering dog eats them and becomes sick, resulting in a race to the veterinarian. Following the treatment however, Bo-eun is forced to adopt the animal lest it will be put down. Meanwhile, walking in a different area of the park, illustrator Kang Woo-joo (Shin Myeong-geun (신명근) finds a cat abandoned and tied to a bench, and decides to adopt it despite his intention to leave. Due to their new animal friends, Bo-eun and Woo-joo meet everyday and are surprised to learn that they have unintentionally named their pets after each other, which sparks the beginning of a relationship. Cats and Dogs is surprisingly technically sophisticated given the limitations imposed by iphone cameras. While initially the visual quality is more akin to a student film, such thoughts dissipate with time as the framing, editing, soundtrack and other such cinematic devices are competently employed in the construction of the rom-com. Of course, constraints are noticeable particularly in regards to establishing shots and camera movement, yet their absence does little to harm the narrative. Director Min, who also wrote the screenplay, wisely opts for an unambitious story to keep everything simple and this approach certainly helps in conveying the romance. 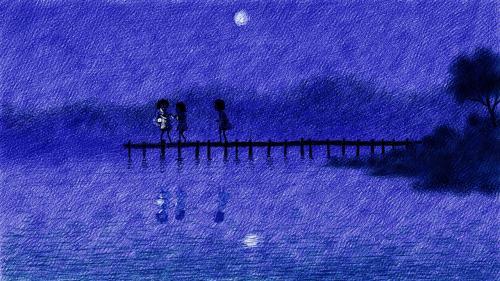 Yet there are several moments when the lead protagonists are written into a corner, and the director employs the use of animated web-toons to bridge any narrative gaps. As Bo-eun and Woo-joo are web artists the sequences slot nicely into the film as well as continuing the tongue-in-cheek sensibilities that run throughout the film, in a heightened, postmodern fashion. Cats and Dogs is first and foremost a romantic-comedy, and exploits all the ridiculous cliches that go hand-in-hand with the genre. This is a blessing in the sense that it is fun to witness such silliness and how the couple will fall for each other, and a curse for the very same reasons as it is extremely predictable from start to finish. It’s understandable however, given the sole use of the iphone camera. Director Min also seems to be aware of this, and aims the film at a younger – and arguably more accepting – demographic yet cheekily throws in some sexual suggestions to keep it slightly adult. As such the film grows and becomes quite charming as a result. Interestingly the narrative is just as concerned with the nature of breaking up as it is with creating a relationship, sneaking up on audiences amongst all the sugar-coated notions of romance which also forms part of the charisma. As perhaps is to be expected, the performances are all over-the-top although the characters do become quite likable, particularly when they are compared to the animals they take care of. Shin Myeong-geun is arguably the most charismatic due to his comical and laid back nature, while Son Min-ji is colder and more distant. This is intentional however, and it’s good to see a Korean romantic story with genuine personality conflicts, as well as how they adapt to them. The supporting cast, meanwhile, are frankly awful and serve to drag the film down whenever they are on screen. Thankfully their appearances don’t last long, but the film still suffers from their presence. 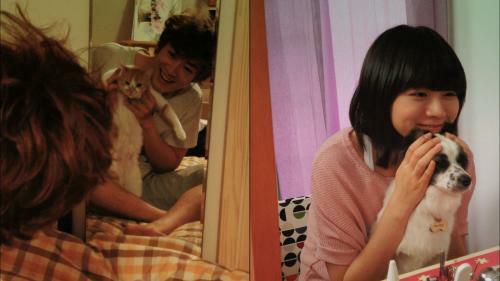 Cats and Dogs is Korea’s – and the world’s – first feature length film shot entirely with iphone 4s cameras. Surprisingly the romantic-comedy isn’t as gimmicky as such a feature would have you believe, as the film is quite charming throughout despite the over-abundance of cliches. Director Min Byung-Woo wisely keeps things simple, although does attempt to explore personality clashes which is particularly refreshing when compared to other Korean rom-coms. Cats and Dogs is a cliched and limited, yet fun and silly, addition to the genre. 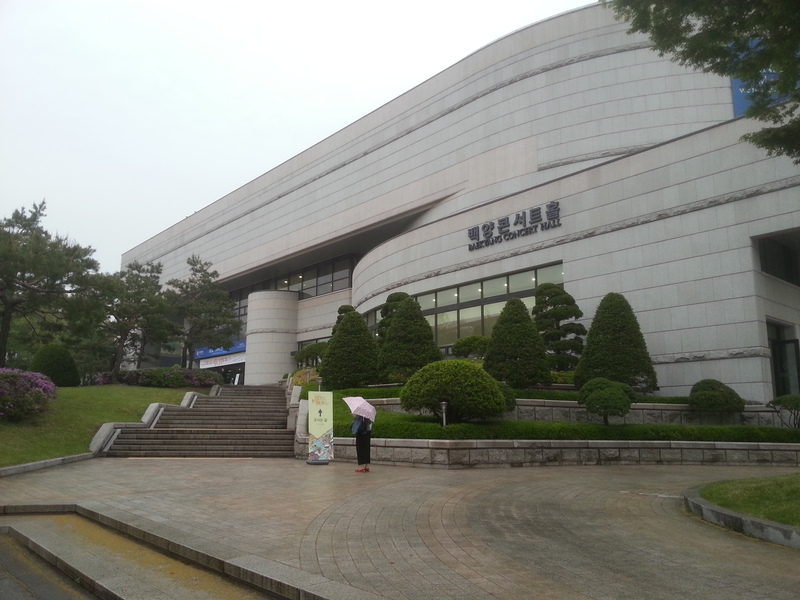 On a rainy Thursday the 9th of May, the 10th Green Film Festival in Seoul (GFFIS) got underway with an opening ceremony at Yonsei University’s Baeyang Concert Hall in Sinchon, Seoul. 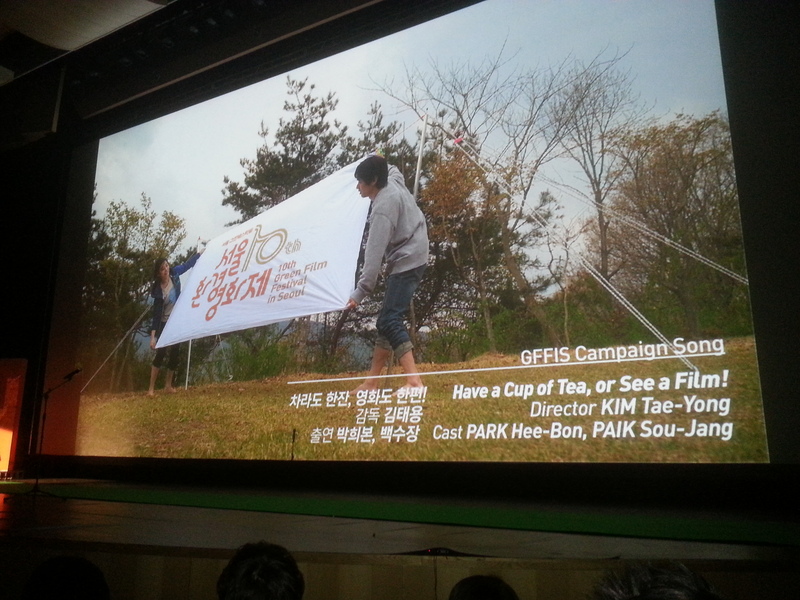 Hosted by duo Kim Tae-Hun (김태훈) and actress Park Hee-bon (박희본), the event sported several videos celebrating the festival’s now decade long run – including a quite sweet musical video called Have a Cup of Tea, or See a Film! (차라도 한잔, 영화도 한편!) 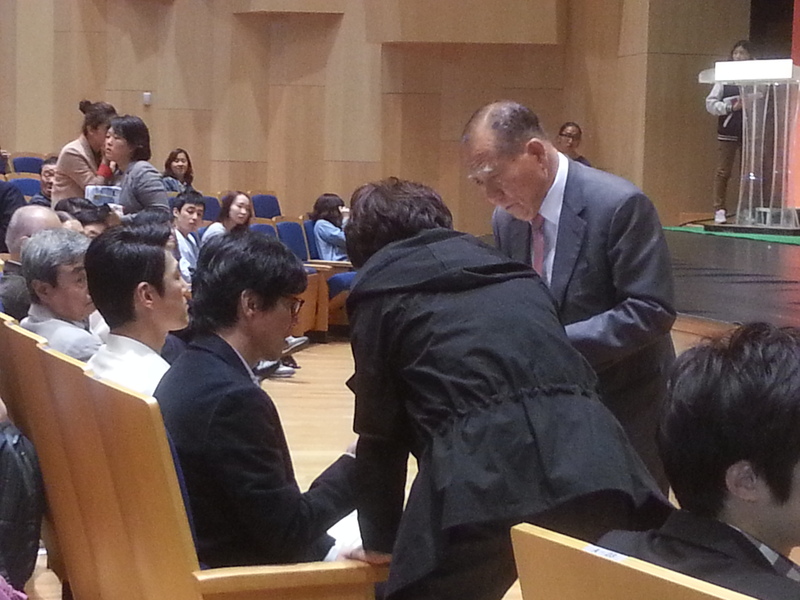 helmed by renowned director Kim Tae-yong (김태용). Important politicians and policy makers, including Mr. Park Jae-dong, Mr. Yoon Seong-gyu from the Ministry of Environment, and Chairman of the Board of the Korea Green Foundation Mr Lee Se-jung all gave welcoming speeches regarding the importance of the festival and of ecological awareness in general, and their comments were warmly greeted. 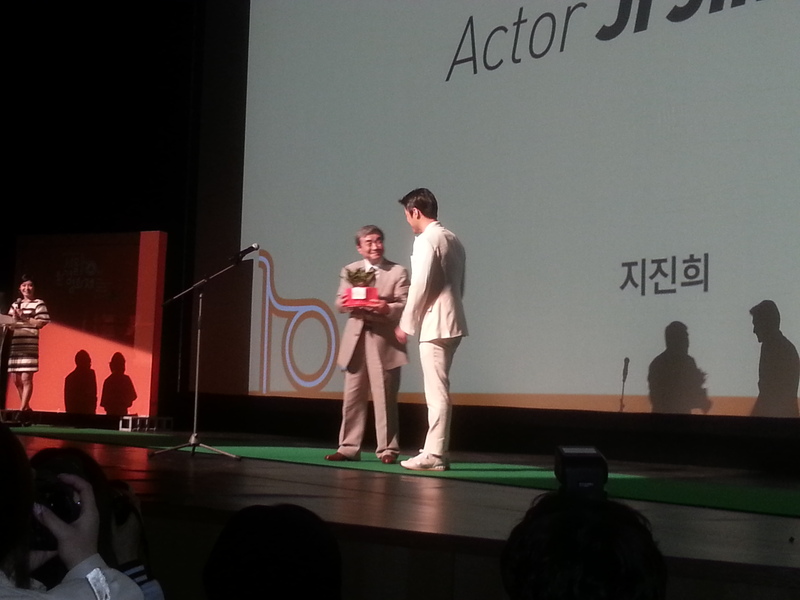 This was followed by an opening declaration by Mr. Kim Won, the Chairman of the Organizing Committee, who then brought actor Ji Jin-hee on stage to present him with a small plant as part of his acceptance in becoming the latest eco-friend of the festival. After a short interval, everyone was again seated for the opening film. 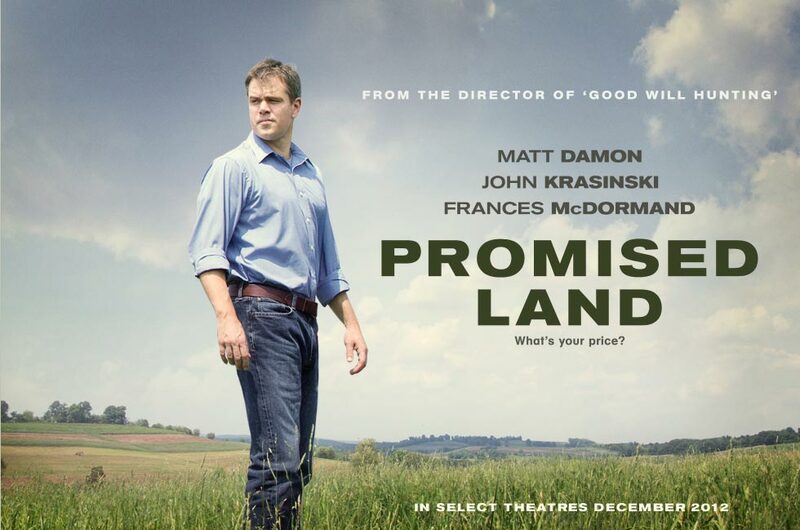 Gus Van Sant’s Promised Land , which re-teams the director with star Matt Damon after the critically acclaimed Good Will Hunting, sees a duo from an energy company attempt to buy land in the country in order to harvest the natural gas beneath. Yet the residents become concerned due to the process of ‘fracking’, in which chemicals are pumped into the Earth to get the resource, making the prospect a tough sell. The film was very well-received by the audience, and the film itself is a very apt opening due to the debates involving nature, community, big industry, and money. Please see below for the review. Promised Land is, in many ways, a great film to open the festival with. The story sees Steve (Matt Damon) and Sue (Frances McDormand) as workers for Global, a giant energy conglomerate who wish to obtain the natural gas residing under a farming community in Pennsylvania. Few actors do ‘everyman’ as well as Matt Damon, and that charm is present throughout the film as he is simply a good guy trying to do the best job he can. Unfortunately that job is to buy the land out from under the people, and his naivety in this regard is perplexing as it’s quite obvious what the ramifications are from the start. To reinforce the point director Gu Van Sant features plenty of establishing shots of the countryside to emphasize what’s at stake, making Promised Land a very attractive film throughout. Despite the quite serious subject matter the narrative is often comedic, featuring some real laugh-out-loud moments as Steve and Sue continually face obstacles ranging from school teachers to the weather. Steve’s journey is an interesting one as he is torn between being a man with working class roots and his desire for (financial) success, although his reasoning isn’t explored nearly enough. Furthermore the narrative is far too ambitious as it attempts to cover too much in the running time, and in doing so lacks any real heart or emotional power. The inclusion of a love interest for Steve tries to address the issue, but she is often jettisoned in favor of returning to the environmental debate. Promised Land is a good, solid film and certainly one of the better dramas to deal with environmental issues, yet the curious lack of heart make the film a thought-provoking, but somewhat emotionless, endeavour. 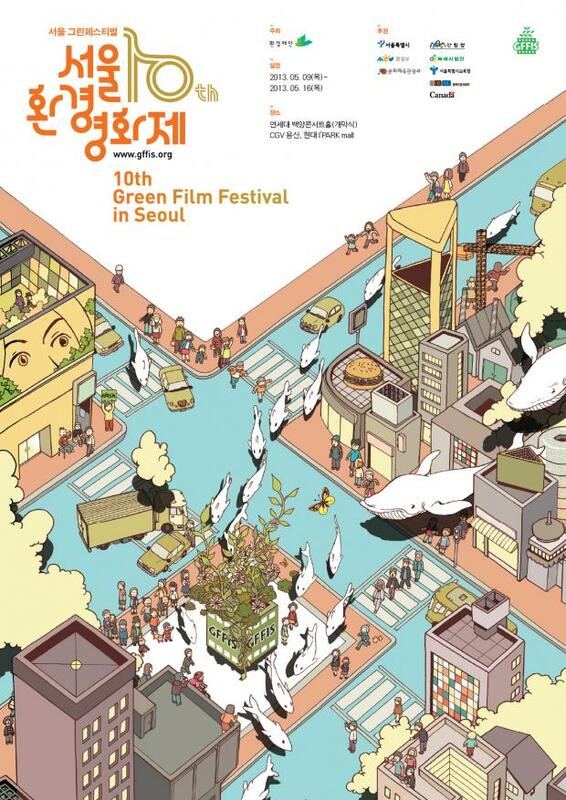 Kicking off on the 9th of May and running through until the 16th, the 10th Green Film Festival in Seoul (GFFIS) will take place at CGV cinemas in Yongsan. The festival screens films that highlight environmental matters from all over the world, ranging from GMO foods to corporate corruption, animal welfare to government protesting, and that great variety continues to be present within the 2013 edition. Opening with the Matt Damon starring Promised Land, directed by Gus Van Sant, the festival boasts an impressive array of international screenings. For the full list of films please visit the official website here (in Korean), however featured below are the Korean entries that will emphasize the environmental issues occurring within the country. 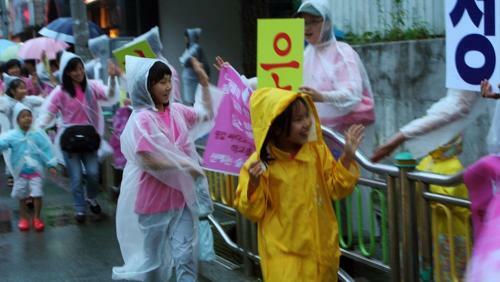 Synopsis: The documentary follows the residents of a small village community in Seoul, who protest against a building project that will raze part of a mountain to make way for a private academy. Synopsis: Fictional film Boiler explores the lives of a handful of binge drinking tunnel laborers. Their mundane existence is changed however when they discover something underground while working. Synopsis: The first film to be shot entirely using the iphone 4s, this romantic-comedy depicts the lives of two pet owners and their relationships. 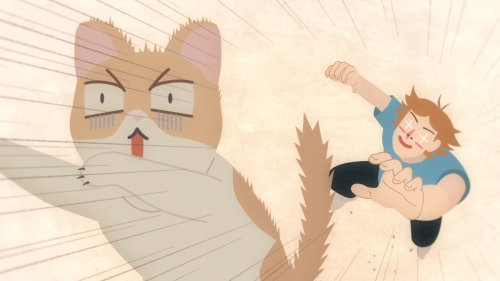 Synopsis: In this animated short, a man hits a cat while driving. The guilt of the event causes him to hallucinate the cat – and other felines – wherever he goes. Synopsis: The documentary examines a small town and the impact of a cement plant built 50 years ago, and the fallout of hazardous materials on the health of the community. Synopsis: Cruel Inheritance is a documentary concerned with the ramifications of the atomic energy and bombs, from Hiroshima in 1945 through to Fukushima in 2011. 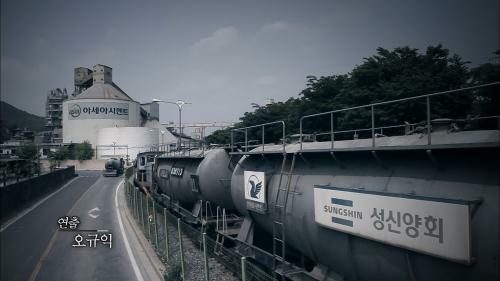 Synopsis: Experimental film Fog and Smoke explores the complicated and intense emotions involved in the development of a city in the port of Incheon., including issues related to the financial crisis. Synopsis: This 12 minute short fiction film portrays a group of friends who reunite in a bar, and recount their childhood story involving a ‘green monster’. 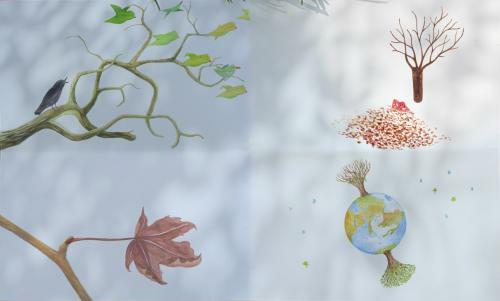 Synopsis: Exploring the life of trees across seasons and beyond, this animated short is concerned with the way life unfolds and develops for vegetation, and the very meaning of existence. Synopsis: The environmental impact of human waste is examined in this KBS documentary, portraying the thoughtless consumption of materials every time a person flushes the toilet. 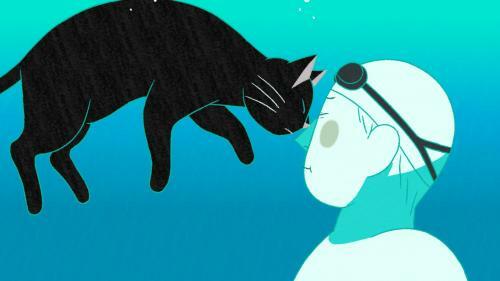 Synopsis: The life of a monster who dwells in a reservoir is portrayed in this animated short. When human development approaches, the monster’s home is threatened. 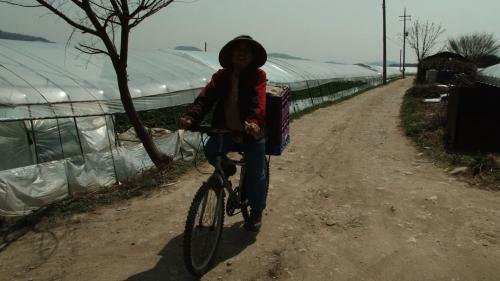 Synopsis: Paldang examines the issues involved in farming in contemporary Korea, from government subsidies to organic farming and wind power, and the conflicts that arise. 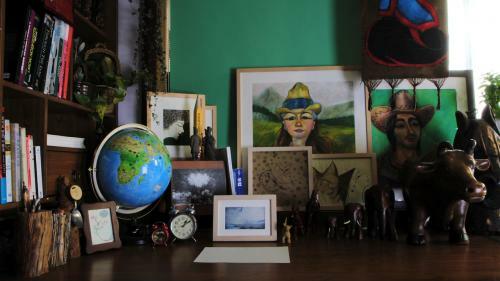 Synopsis: This 11 minute animated film explores the keepsakes and mementos that are obtained over time through traveling. The photos and ornaments from trips in different times state the importance of travel. Synopsis: A young boy who had previously only consumed organic foods is suddenly introduced to chocolate, and begins to question his lifestyle. 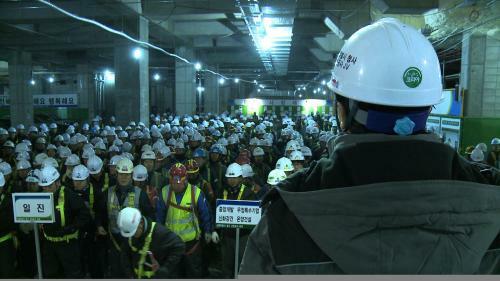 Synopsis: The difficulties of the new city hall project in Seoul are captured in this documentary, exemplifying the struggle of old versus new. 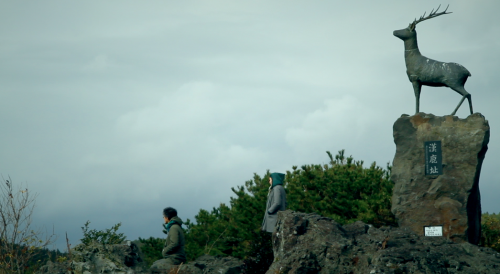 Synopsis: The beautiful landscapes of Jeju Island are the focus of this documentary. The people of Jeju and their relationship to the surroundings are also featured, alongside Jeju musicians.